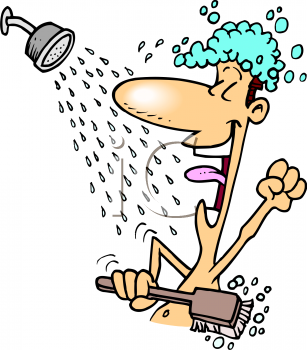 Friday’s Fun Poll What do you listen to in the shower? After blogging on the top 5 shower radios earlier on in the week I thought it would be appropriate to continue the theme and ask you all what you listen to in the shower. There is lots of choice out there with regard to radio stations almost too much choice. There are radio stations for Funk, Garage, Soul, Reggae, Pop, Rock, Metal, Disco, Jazz, Classical, Opera, Rap, Hip-hop, Ska, Dubstep, Dance, Drum and Bass literally every type or form of music is available. Sometimes though you do need to do a bit of searching but eventually you find what you’re looking for. Maybe you have a fancy hi-tech shower radio that incorporates Bluetooth and are able to stream your own tunes from your mobile or computer and don’t listen to the radio. Maybe you even have a morning playlist that helps to wake you up and get you fully re-vitalised for the day ahead. With so much choice with regards to music and radio choices and due to everyone’s individual preferences it’s time to have a poll and see what everyone listens to. Below is a simple poll with a few choices. As always please leave a comment as i’d love to hear from you. You can even suggest the frequency and name of your favourite station so i can check it out. As always enjoy. After a two part blog about explaining how each gender spends time in the bathroom it’s time for you guys to vote on exactly who you think spends longer in the bathroom. Hopefully you have been thinking about it over this week and come to a conclusion and are able to vote. If you havent had a chance to read either parts of this debate then the links are here Part 1 Males and Part 2 Females. As always thanks for voting and please leave any other comments. On Monday I briefly delved into the long running debate of why do men take so long in the bathroom? I’m now going to shed some light on why women take so long in the bathroom? This is just so the debate is on an equal playing field ready for Friday’s Fun Poll of who takes the longest in the bathroom men or women. I will again start off by stating that I am going to be very broad and so quite a few generalisations will be made. Everyone is unique and different and will have their own routines and rituals so please remember a lot of these points are going to be generalisations so please don’t get offended. So now I’ve covered my back on with the debate. The difference between men and women is quite significant both physically and psychologically there is no doubting that. Yes men and women can both enjoy sports, reading, films and lots of other common interests but there is lots of smaller points of interest that significantly differ from each gender. These differences can be suggested as being ingrained by social interaction and pressures for example a baby boy is always dressed in blue and a baby girl is always dressed in pink. There’s nothing to say that the colours can be switched around and have a baby boy dressed in pink rather then blue. Hopefully you see where I’m getting at with this point even if I have said it in a confusing muddled way. Basically I’m saying that society and peer pressure shapes us as people whether we like it or not or whether we admit to it or not. So your there reading this thinking what is this guy chatting about, what does this have to do with women spending more time in the bathroom. Well read on and my pearls of undeniable wisdom will be revealed. Women spend a long time in the bathroom due to mainly getting themselves ready and comfortable for the day ahead or going out. Unlike men where they mainly use the extended bathroom time to do their business, read and generally relax and escape from the world for while. Women are getting themselves prepared and ready for the world by applying make-up, styling their hair and general self grooming and styling. This is the slight fundamental difference between men and women. That women use bathroom time to get ready, although I will point out that the trend is changing. Men are now becoming women and to be honest this annoys me. Men should be men. They are supposed to be a bit smelly and ruff around the edges it’s what defines our masculinity, but more and more men are becoming pooffy lady boys who can’t even hammer a nail into a wall. I apologise though I’m going off on a tangent into another social issue which really annoys me, and needs to be addressed significantly before we all end up becoming self obsessed Asexual beings with no gender differences. Back to why women spend ages in the bathroom. Taking this theory of women taking time to get ready in the bathroom this can also be applied when women are out in a social situation with other women. It’s the usual scenario and the mystery of why do women go to the toilet together? This is definitely a situation that men find bizarre and peculiar, but the answer is simple. Women go together to the bathroom to talk. They chat about what’s going on with their lives and if there on a double date they talk about the men. Basically women talk about anything and everything. In thinking about all of this I came to a final conclusion, that women use the bathroom in the same way as men. Both genders use the bathroom to escape from life for a short while. 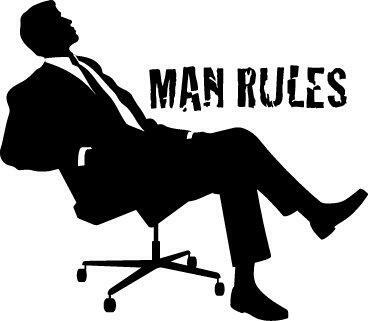 Although the genders differ in the activities they do in the bathroom, for men it’s reading and doing their business. While for women it’s either talking (in groups) or getting ready (make-up, hair etc). But for both genders the bathroom time is a time to escape from life. I guess this is why when it comes to buying or selling a house the bathroom is such an essential room and can either make or break a sale. As always thanks for reading and hope you enjoyed it and please leave any comments as I’d love to hear from you. Why do men take so long in the Bathroom? Over the weekend I asked a friend for ideas on what to write about on this bathroom blog and he did’nt disappoint and came up with a gem of an idea. The premise of the idea is simple yet is an age old gender debate that has been around for decades. The basic idea of this debate is what do men use the bathroom for and what do women use the bathroom for. It’s ok people don’t worry I’m not going to go into any specific details it’s more a case that I’m going to try and investigate how each gender perceives their bathroom time. Due to the massive nature of this debate I’m splitting this blog up into two parts one part for the men and one part for the women. Seeing as I’m a man I’m going to start with the men so let the age old debate begin. I’d like to first point out that a lot of this debate in the main atleast is going to be very broad and so quite a few generalisations will be made. I know everyone is different and everyone has their own routines or rituals so please remember a lot of these points are going to be generalisations. The simple answer to the question is that men take so long in the bathroom because they want to. For men the bathroom is viewed as their kingdom to which they are the king. The domain of the bathroom is a place of freedom to escape the world for a while and have a bit of reflective time. This notion can be expanded due to the euphemism of the toilet as a throne. The bathroom for men is not only their kingdom but a place of solitude where men can in essence simply be alone. A lot of men but not all, enjoy being alone with their thoughts and able to take time out in a busy day to just relax. This relaxing can take a number of different forms the most popular one is reading on the toilet. The phenomenon of reading on the toilet is not exactly a new fad that people have only just discovered and are enjoying. It’s been going on for ages. I do want to mention that it’s not just men that enjoy reading on the toilet I’m sure a lot of women enjoy doing it as well. I’m not going to delve too far into reading on the toilet as I’ve planned for a whole separate blog on this topic. Going back to the question of why do men spend so long in the bathroom? As I’ve stated men enjoy time by themselves and we know that if we go into the bathroom then no ones gonna follow. Providing the perfect arena to relax and also do our business at the same time. Just like killing two birds with one stone to coin a phrase. This is a Potty Putter bargain at £9.99. The image is a link to the shop that sells them. The other reason why men take so long in the bathroom could be that they have more of a bowel issue then women and need longer to fully de-clentch and release their bowels. Although I can’t back this up with any scientific proof it’s just an idea. I know this blog is only just the tip of the iceberg and I’m sure at some point I will come back to this wonderful debate and engage it fully with adequate research. But I feel as a start to this issue this is as far as I’m going to go. I will leave you with a few anonymous quotes I found on Yahoo by two men who share their view as to why they take a while in the bathroom. I will delve briefly into the female gender and the bathroom on Wednesday. If you have any comments then I’d love to hear from you and thanks for reading. Can an offer really be trusted? The main reason why I’ve picked this question to write about is that here at Kings Bathrooms we have just made an offers page with 19 products all with great discounts with one product being reduced by up to £50. So while producing this page it got me thinking what constitutes or makes a good offer? You see all the time in supermarket’s offers like, two for one and buy two get one free etc, etc and some times these offers are actually not very good. It can simply be a case that the supermarket has over stocked and needs to get rid of the items before they go out of date meaning your not actually getting a good deal at all. Or that the original price of the item has actually increased from its usual price to make you think that you’re getting a good deal when again in fact your not. It could be argued it’s the same with clothes shops, that only the old styles or clothes with strange sizes go on offer, so again unless your super skinny or super large there’s actually no offer there at all. Then of course you also have the ridiculous offers where it is simply too good to be true and it’s just a scam. The offer’s where you buy a mars bar and you get a free iPad2 is clearly some kind of scam or a ridiculous marketing ploy. It is only in the term and conditions that you have to buy 15 thousand mars bars to get the free iPad2. So with a quick bit of maths it’s clear that if you brought 15 thousand mars bars you could easily pay for two iPad2’s and still have change. To brighten up the tone and not get you questioning every purchase you ever make, I want to re-assure you that there are genuine good deals and offers out there. If you are a savvy offer shopper then you may already know about www. Hotukdeals.com. If not I would highly suggest you check it out, as it is consumers who post the deals that they have seen in shops and tell you where you can get them. So there is a brighter side to offers and there are genuine deals to be had, it may just take a little more searching. I hope you enjoyed reading this short article and have time to visit our new offers page, as we feel they are genuine discounts with no searching involved. As always we would love to hear from you so drop a comment below. The bells have tolled and time has run out for England at Euro 2012. It all came down to the dreaded penalties and we all know how it was going to end before the first penalty was even kicked. Why we all had hope after Italy missed first was a nation riding on sheer adrenaline rather then confidence. Here at Kings Bathrooms we are all a little subdued today knowing that the excitement of the Euro’s is essentially over. It could also be that it’s Monday morning. Let me try and brighten your spirits now as we look towards the future, as this summer has huge potential for sporting success. Not only do we have the Olympics that the UK is hosting, where we have some fantastic athletes that have a strong chance of achieving a gold medal. But we also have Wimbledon that is starting today. So what better way of dealing with the disappointment of exiting Euro 2012 then to dive straight into the excitement and hype of Wimbledon. I guess at this point I should mention the purpose of this article that here at Kings Bathrooms we will be having some great offers that will be linked into these fantastic sporting events. So we will keep you all updated as soon as we finalise the offers. Back to the up coming sporting events and I feel we really do have a fantastic opportunity for success at both the Olympics and Wimbledon. So let me leave you with a few inspiring words to uplift your spirit and give you hope for this sporting summer. It’s a bright and sunny start here at Kings Bathroom and Furnishings, the weather forecast predicted rain but so far not a dark cloud in the sky whether this will remain through out the whole day is anyone’s guess. The office is quite at the moment just processing orders and doing the everyday hum drum morning duties that are required of every office. At the current moment there is only 3 members of staff in the office, this is usually the case as 2 more members of staff start at 9.30 rather then 9. All the staff gets on with one another and is all keen for the company to do well. The general office vibe is usually pretty quite with people focusing on what their doing, but every now and again a burst of conversation will erupt and engulf the office with every member joining in to give their opinion on the latest news or event. Only yesterday the topic of the Olympics was brought up that saturated the office in an excitement, and also came along with the secret reveal that an office member had tickets. As with every company each staff member has their own unique role and position whether it is IT, marketing or customer service. The IT department consists of two staff while the marketing and customer service consists of three members. The office itself is very much your bog standard office set up, every staff member with their own desk and computer to work from. The office itself is a cream coloured walled room with three windows that stream daylight in giving the office a light spacious feel. Well this was just a very brief introduction to office life at Kings Bathrooms and Furnishings, hope you enjoyed it and we’ll keep you updated. Please feel free to comment about what your office or work environment is like.